Merry X-mas from Dave Windett! Hey, remember Comic Book Mafia? 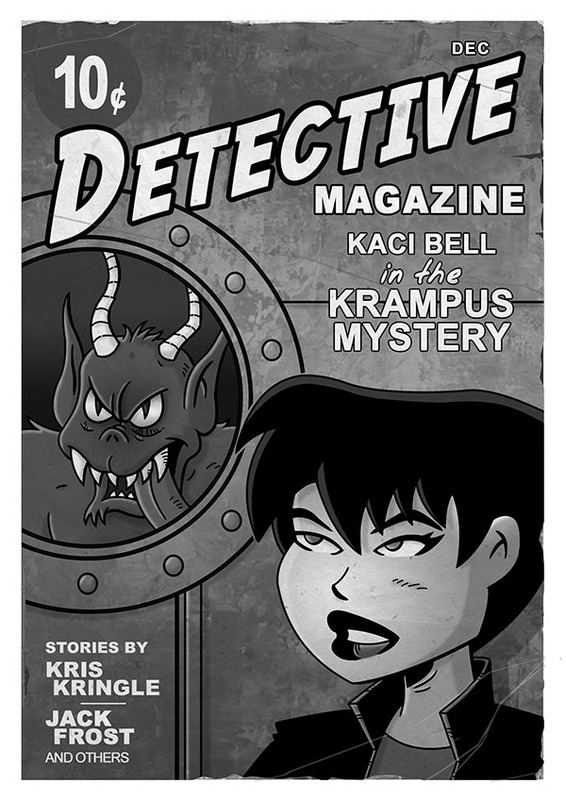 Dave Windett, artist for CBM, sent this pin up of his other webcomic character Kaci Bell of the Kaci Bell Mysteries! Wishing you all a happy X-mas! Happy X-mas to you too, Dave!